Chief Justice Misra vs 'rebel' SC judges: Did the Supreme Court justices skirt 'values of judicial life' by going public? The series of disturbing events at the Supreme Court saw the country and especially the legal community divided over the issue. Some believed, the four judges shouldn’t have held the press conference, and instead should have tried to resolve the matter behind the curtains. Some others were of the opinion that these four judges were witnessing the wrongdoing in front of their own eyes, and hence had no other choice but to come out in the open. I am myself empathetic to the fact that there indeed must be some solid reasoning for the four out of the five seniormost judges of the Supreme Court, to come out in the open and hold a press conference, thereby violating the code of conduct. However, the developments that ensued are gravely disturbing to the least. There were reports that the Communist Party of India (CPI) leader, D Raja visited Justice Chelameswar’s residence that very day. Pictures of Raja leaving the judge’s residence also came out in the media. Raja told the press that he was called by Justice Chelameswar himself when he called up the judge to inquire about the events of the day. Moreover, on Thursday, again Justice Chelameswar spoke to one of the media houses about attempts to resolve the situation being underway in the court. The CJI, on the other hand, showed propriety by not meeting Nripendra Misra, who is the principal secretary to the prime minister. Irrespective of the fact whether he assigned cases properly or improperly – as the four judges alleged, it is this kind of propriety, which the CJI showed, is expected from all the judges. 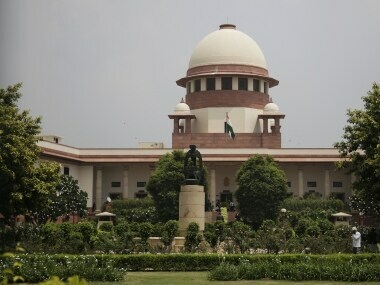 In 1997, the Supreme Court of India in its full court adopted a code of ethics for judicial officers which became famous as The Restatement of Values of Judicial Life. It is a 16-point code, which all the judicial officers in the country, including the judges of the high courts and the Supreme Court, are expected to follow. The point number nine of the code, very explicitly prohibits the judges from giving any interviews to the media – "A Judge is expected to let his judgments speak for themselves. He shall not give interviews to the media." The point six of the same code decrees – "A Judge should practice a degree of aloofness consistent with the dignity of his office." There is a reason that these points are enshrined in the code by the Supreme Court itself. A judge can’t give interviews to the media because his judicial actions are not open to scrutiny by the media. The Supreme Court’s constitutional duty is to protect the Constitution, from the actions of the Legislature and the Executive. Therefore, the guardians of the Constitution need to show absolute and utmost propriety in their actions and practice a degree of aloofness. Isolation is necessary so that the possibility of the judge knowing the litigant personally, who is appearing before the court is very less. Raja told the media, that he knows the judge personally and that’s why called him up that day. Therefore, let alone meeting, the fact that Raja knows Justice Chelameswar personally, is itself improper. A politician is all the more probable to be a litigant in a court because he forms the part of that wing of the government which is supposed to be checked by the judiciary. In such a scenario, the degree of aloofness, as is the mandate of the Supreme Court itself is nowhere to be seen. It is similarly important to stress that, it is also incumbent on the politicians and other members of the executive and the legislature, to not maintain personal relations with the judges for the sake of preserving the constitutional machinery of the country. If one can carry this a step forward, one can imagine the sitting Supreme Court and high court judges appearing on primetime debates on television. The judges should know that by talking to the media, they are on a slippery slope. They should then also be mentally prepared for open questioning of their actions, motives and intentions, behind each and every action of theirs. Actions can be judicial, administrative or personal. If the judges are prepared for this, which I hope not, then this is not the direction which any well-wisher of the Indian judicial system, would want it to take in the future. 1Chief Justice Misra vs 'rebel' SC judges: Did the Supreme Court justices skirt 'values of judicial life' by going public?